Designed by George Keister as an Italian Renaissance-style theatre, the venue opened in 1918 under the name of the Selwyn Theatre. Over the course of its history, the building has been used as a theatre, a cinema and even a visitor's centre until it fell into a derelict state of disrepair. 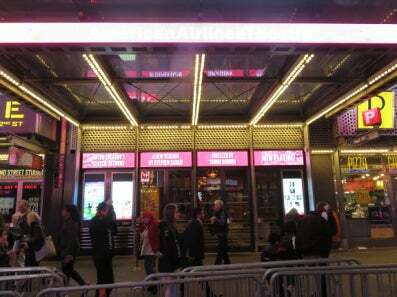 The Roundabout Theatre Company vowed to renovate the theatre in 1997 and re-opened it as the American Airlines Theatre on 30th June 2000, after American Airlines agreed to donate $8.5 million to help cover the costs of the renovation.